All three of the All Star resorts have similar trees, wreaths, etc. However, they are all distinctly decorated using the theme of each hotel. 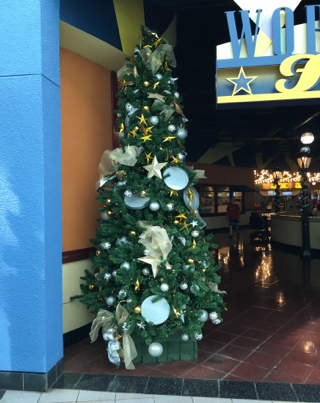 This Christmas tree is at the entrance to the All Star Movies food court, and is decorated with movie "reels."